A gun moll with a knack for disappearing flees from Prohibition-era Harlem to Portland's Paragon Hotel. The year is 1921, and "“Nobody” Alice James has just arrived in Oregon with a hidden bullet wound, a lifetime’s experience battling the New York Mafia, and fifty thousand dollars in illicit cash. She befriends Max, a black Pullman porter who reminds her achingly of her home in Harlem and who saves Alice’s life by leading her to the Paragon Hotel. But her unlikely sanctuary turns out to be the only all-black hotel in a Jim Crow city, and its lodgers seem unduly terrified of a white woman on the premises. As she meets the churlish Dr. Pendleton, the stately Mavereen, and the unforgettable club chanteuse Blossom Fontaine, she begins to understand the reason for their dread. The Ku Klux Klan has arrived in Portland in fearful numbers—burning crosses, inciting violence, electing officials, infiltrating newspapers, and brutalizing blacks. And only Alice and her new “family” of Paragon residents are willing to search for a missing mulatto child who has mysteriously vanished into the Oregon woods. In order to untangle the web of lies and misdeeds around her, Alice will have to answer for her own past, too. A richly imagined novel starring two unforgettable heroines, The Paragon Hotel at once plumbs the darkest parts of America’s past and the most redemptive facets of our humanity. 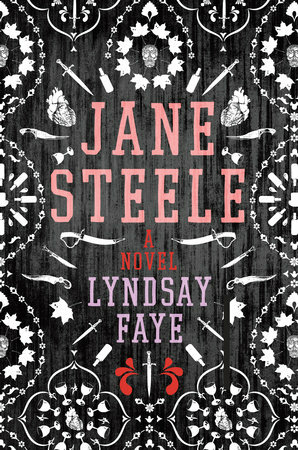 From international bestselling, multi-award-nominated writer Lyndsay Faye, it’s a masterwork of historical suspense. And from Lee Child "Immersive... thrilling... Read it today."